Kansai's Newest Attraction!! Close to Arima Onsen!! 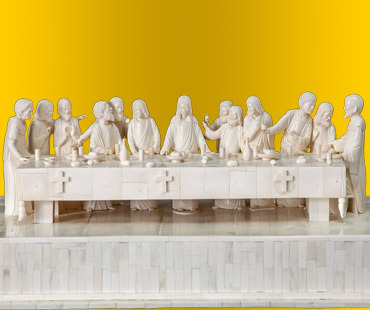 “The Last Supper”, by Leonardo Da Vinci, portrays the supper that Jesus Christ shared with his 12 apostles the night before his crucifixion. 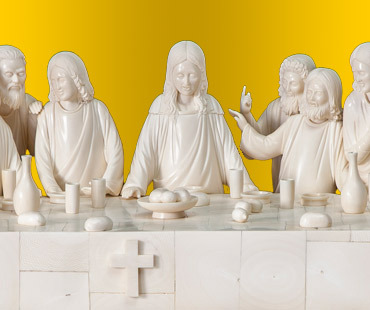 This piece portrays the scene in “The Gospel of John” Chapter 13 Verse 21 where Christ points out that the betrayer out of his 12 apostles is Judas. Furthermore, Christ states that the bread and wine is his “body and blood”. This masterpiece created by Japanese Ivory Sculptor “Shinshou Shimizu” Sensei, recreates this painting into a three-dimensional gem. ※Please check the number carefully to avoid misdials. ※If a national holiday falls on a Tuesday, the museum will be closed on the next weekday. ※May have additional closures due to maintenance etc. Please check the calendar for the newest information. 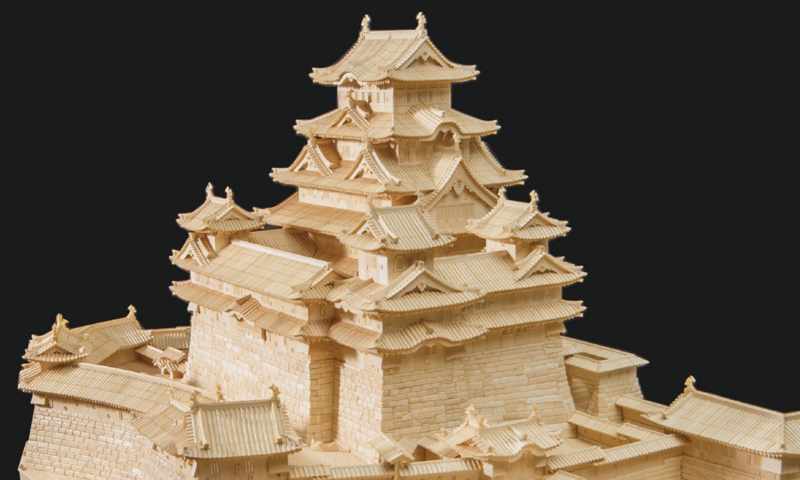 ■About 500 pieces of ivory sculptures such as Agape Ohtsuru Art Museum "World's largest ivory sculpture Himeji Castle", "Japan's largest ivory sculpture treasure ship" and "Japan's largest ivory carving stone sculpture statue", Hyogo ken prefecture art museum · exhibition Is exhibited. ■Just a 15 minute drive from Arima Onsen! Please stop by when visiting Arima Onsen. We will welcome you with utmost soothing comfort.